Every Christmas we prepare Strawberry Jello Pretzel Salad as a holiday dinner side-dish and just like clockwork, someone always remarks, “Mmm… how come we only eat this once a year?” A sibling to this Mandarin Orange Pretzel Salad– this dish is filled with savory caramelized pretzels, sweet berries, and creamy whipped topping, this easy jello dessert is sure to become a family favorite. This simple recipe makes a perfect one pan dessert for any party or holiday gathering, you’ll impress people over and over again! 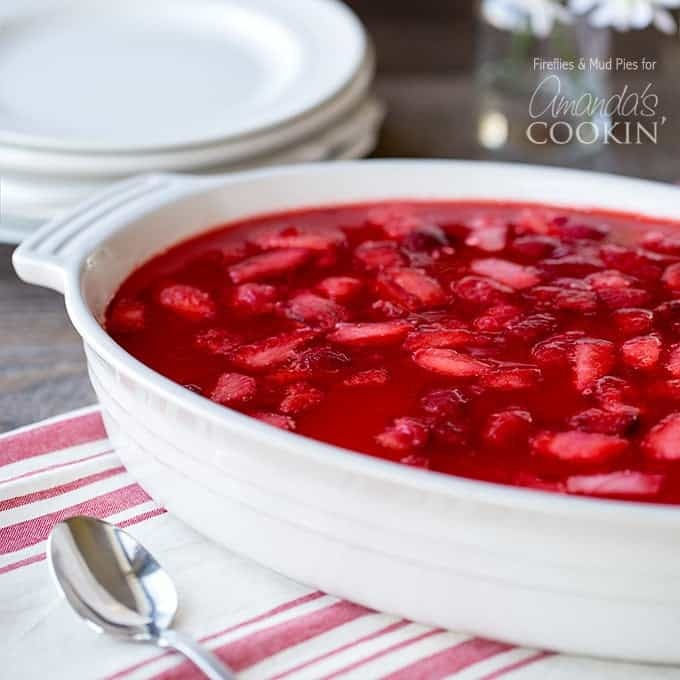 This dessert is great for any time of year, but is especially popular at picnics, potlucks, parties, holiday dinners, and large family gatherings. It’s not the kind of “salad” that is healthy to eat…but we can pretend it is! RELATED: If you are a strawberry fan, you will love this Fresh Strawberry Lemonade, perfect for summer! And don’t forget about our no-bake strawberry icebox cake! If you can’t get tubs of whipping cream where you live or prefer to make your own, use a mixer with a whisk attachment to beat 1 cup of heavy whipping cream until soft/medium peaks form. You can heat the pineapple juice in a saucepan on the stove, or place it in a glass measuring cup and heat it in the microwave. Boxes of gelatin usually come in two sizes, you want the larger one, which is 6-ounces. Crush the pretzels in a plastic bag with a rolling pin. This is a great cooking task for kids! 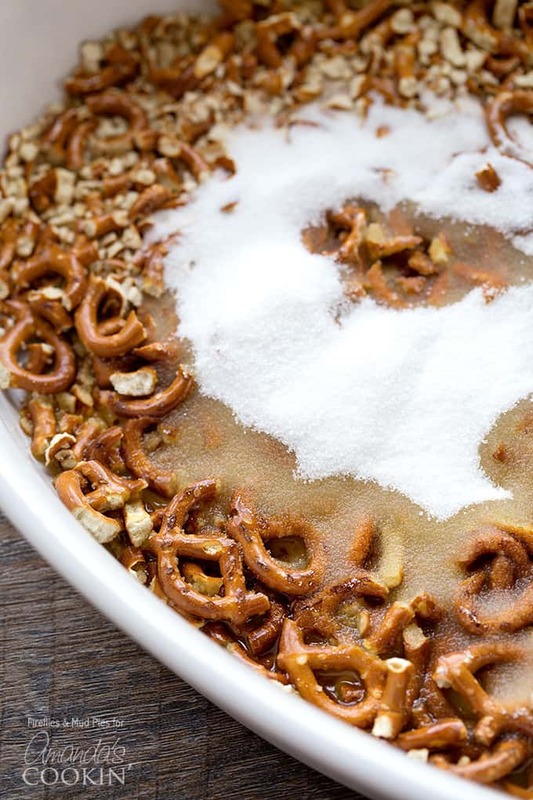 Save some dishes by mixing the pretzels, melted butter, and sugar right into the dish you plan to serve the jello dish in. 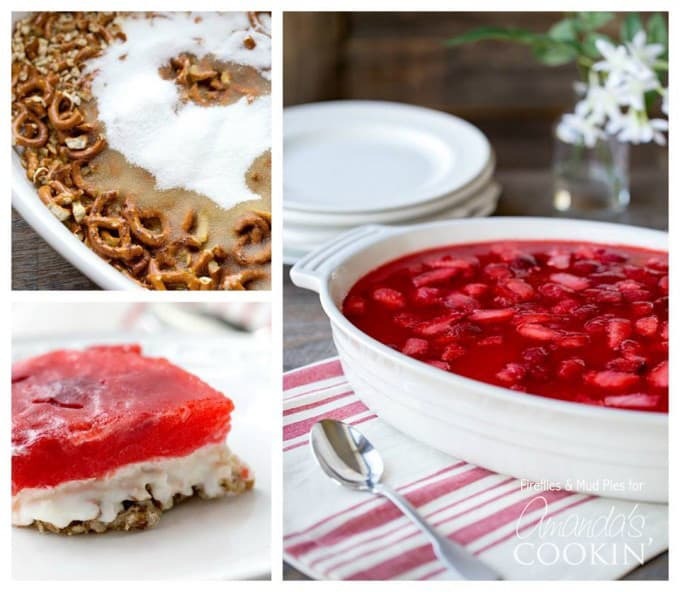 I should warn you—Strawberry Jello Pretzel Salad is addicting! It’s hard to eat just one serving. 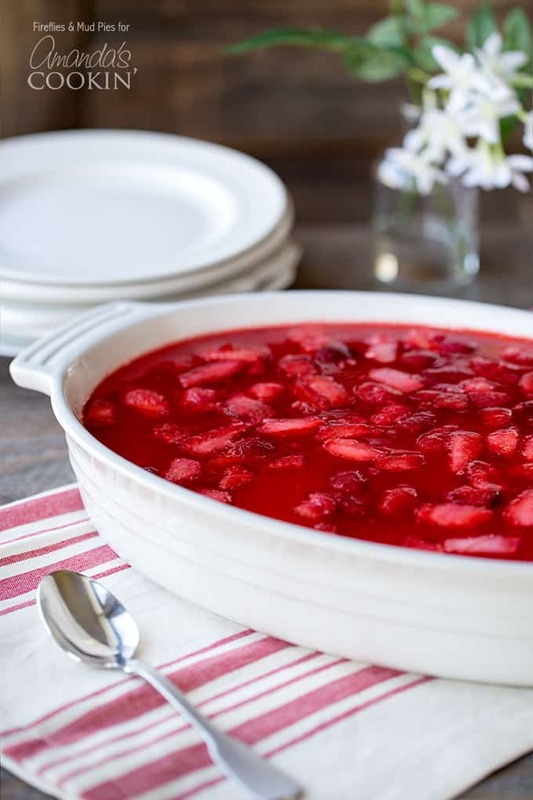 I hope you enjoy your ultra delicious Strawberry Jello Pretzel Salad! These Watermelon Jello Shots are a cute and fun way to celebrate Memorial Day, 4th of July, or to bring along to any BBQ or potluck this summer. 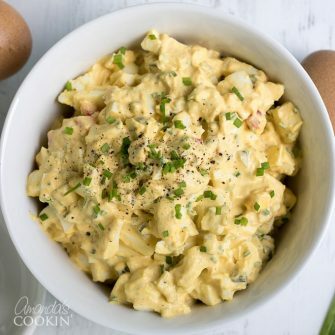 This recipe shows you how you can make them two different ways! We love this Whipped Jello: Mandarin Orange Mousse , we made this for a few of our summer pot locks and was such a hit! 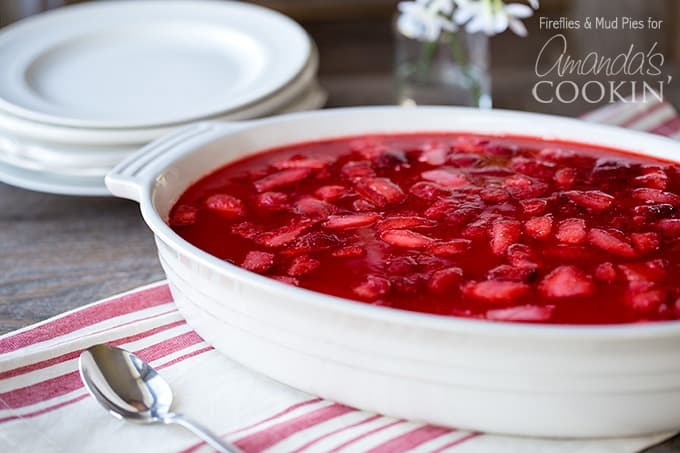 This Cranberry Relish is the perfect relish dish for Thanksgiving dinner! Creamy Raspberry Jello Parfaits can be made with whatever flavor Jello-O you desire and makes for a simple yet beautiful looking dessert! A super simple Peaches and Cream Layered Jello dish makes an awesome one-pan dessert to bring to any get together! This Rainbow Jello from Must Have Mom is a colorful and tasty treat for a birthday party! Filled with savory caramelized pretzels, sweet berries, and creamy whipped topping, this easy jello dessert is sure to become a family favorite! Prepare jello according to directions, substituting hot pineapple juice for hot water, and add the strawberries right before chilling. Refrigerate until partially set. Beat cream cheese and 1 cup of sugar together until smooth. Fold in the thawed whipped topping. Spread over the cooled pretzel crust. When the jello is cool and partially set, pour it over the cream cheese layer. If you can't get tubs of whipping cream or prefer to make your own, use a mixer with a whisk attachment to beat 1 cup of heavy whipping cream until soft/medium peaks form. Melissa is a photographer, writer, educator, and mother to two boys. She shares her passions for nature, simple crafts, and family on her blog, Fireflies and Mud Pies. Her work has been featured on hundreds of websites and in magazines, including Humpty Dumpty and Jack and Jill. 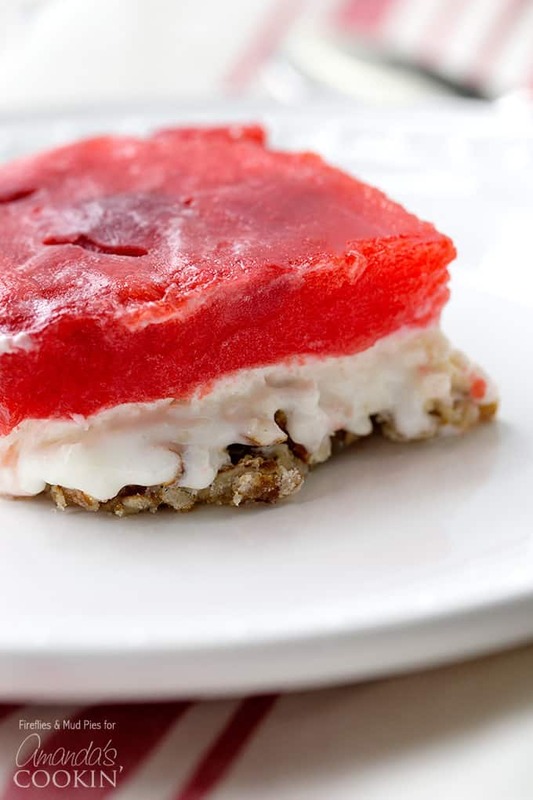 Try reversing the strawberry jello layer and the cream cheese layer to prevent the jello from “lifting” cream cheese from pretzel layer as it firms. Can I substitute anything else for the pineapple juice. I poured the jello, once it was cooled and it lifted up the pretzels and the cream cheese….. :( idk how it’s going to turn out once it’s done in the fridge. I’m sorry you had that experience, how did it turn out? In the video you show adding water, however there is no water in the recipe.